Colin Critchley Photos, News, and Videos | Just Jared Jr.
Siena Agudong and Alex Morgan recreate the movie poster right behind them at the premiere of their new movie Alex & Me held at the DGA Theater on Thursday (May 31) in Los Angeles. The stars of the movie were joined by their co-star Colin Critchley, as well as Siena‘s Nicky, Ricky, Dicky & Dawn co-star Casey Simpson and Knight Squad actress Lilimar. Alex & Me follows teenager Reagan Wills, who dreams of playing soccer like Alex Morgan, her hero. A poster of the soccer star magically comes to life in Reagan’s bedroom, and Alex helps Reagan learn the value of determination. The flick comes out digitally on June 12th and on Blu-ray and DVD on June 19th. Check out the trailer below! 'Legends of Hidden Temple' Star Dishes on Nickelodeon Movie Premiering Tonight! Can you believe that Legends of the Hidden Temple airs tonight?! This movie definitely snuck up on us! 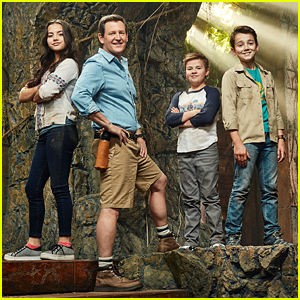 The upcoming TV movie follows three siblings, Sadie (Isabela Moner), Noah (Colin Critchley), and Dudley (Jet Jurgensmeyer), who break away from a lackluster tour in a jungle, finding themselves immersed in a high-stakes adventure comprised of obstacles that they must complete in order to escape alive. JJJ spoke to Colin ahead of tonight’s premiere and got the scoop on the movie. 'Man With A Plan' Actress Grace Kaufman Almost Had a 'Home Alone' Experience! We’re so happy that Grace Kaufman is back on TV! 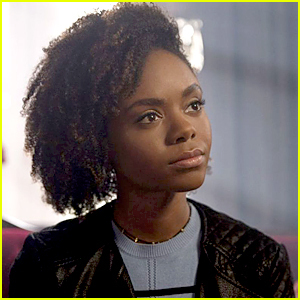 JJJ last saw the emerging actress in TNT’s The Last Ship and now she’ll be starring on CBS’ new comedy, Man with a Plan, alongside Friends’ alum, Matt LeBlanc. Grace will play Kate in the new show, which centers on a contractor (LeBlanc) who starts spending more time with his kids when his wife goes back to work, rediscovering the truth all parents eventually realize: their little angels are maniacs. 1. I love A�ai bowls. I’m obsessed with them. I love making my own for breakfast each morning. I’ve been trying to eat healthy, and this is a good way to do it. 2. One of my hobbies is photography. I like capturing a moment so it lives forever. I have a Polaroid camera to take photos with my friends, but I want to get a professional camera as well. 3. I love the 70′s era. I really connect with the music and the fashion styles that were popular at that time. I like to let my inner hippie out. 4. I want to travel and see the world. I’ve dreamed of going to places like Paris, London, Ireland, Africa, as well as more exotic places like the Fiji Islands. 5. I’m a huge movie fan. My grandma introduced me to old black and white classic movies when I was little, and I have loved them ever since. Movies like “Paper Moon” and “A Place in the Sun”. I learn and grow so much as an actress watching inspiring performances from movies like these. 6. Over the summer, I visited my friend who lives in Hawaii and we swam with manta rays. It was one of the most fascinating and beautiful experiences I’ve ever had. 7. I have a nine-year-old little brother named Henry who is so hilarious. Honestly, that kid can make anyone laugh! He does some acting as well and I’m really proud of him. 8. Music is a big part of me. I love all kinds of genres, like R&B, rock, today’s top hits, and classic artists like Ella Fitzgerald, Frank Sinatra and Etta James. 9. I have two dogs named Jake and Penny, and a kitten named Olive. Jake is an Australian shepherd, Penny is a Dachshund-Chihuahua mix, and Olive is all black. My love for my pets is crazy. It’s like having three other siblings. 10. When I was 5 years old, my family and I went to New York to visit some friends, and we went to see the show “Gypsy.” After, we went to Penn Station to go home, and I got separated from my family by swarms of rushing people. I was lost for about 20 minutes until a lady found me and took me to the police station there. My mom finally found me and she was a nervous wreck. She calls my getting lost at Penn Station “the longest 20 minutes of her life. Man With A Plan premieres TONIGHT, October 24th @ 8:30PM ET/PT on CBS. Isabela Moner listens to a question from the audience during the “Legends of The Hidden Temple” panel during the 2016 New York Comic Con at Hammerstein Ballroom on Thursday (October 6) in New York City. 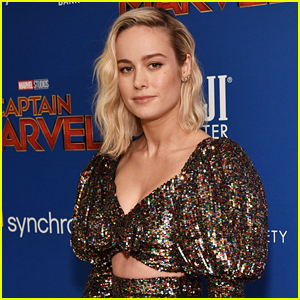 The 15-year-old actress joined her co-stars Jet Jurgensmeyer, Colin Critchley, Dee Bradley Baker and Kirk Fogg, as well as executive producer Mike Sammaciccia at the event, ahead of the autograph signing. 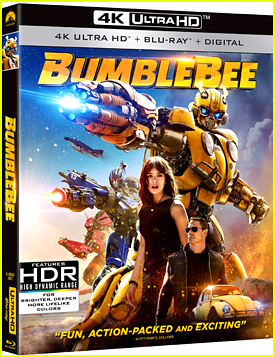 That same day, a brand new trailer was revealed for the movie, which centers three siblings, Sadie (Moner), Noah (Critchley), and Dudley (Jurgensmeyer), who break away from a lackluster tour in a jungle, finding themselves immersed in a high-stakes adventure comprised of obstacles that they must complete in order to escape alive. Watch Isabela Moner in 'Legends of the Hidden Temple' TV Movie Trailer! Isabela Moner goes into defense mode in the first official trailer for Legends of the Hidden Temple, which debuted during the 2016 San Diego Comic Con. Legends of the Hidden Temple will debut in this fall on Nickelodeon.